What's the #1 thing clients value in their agency partners? It's not results, strategy, or even great creative. 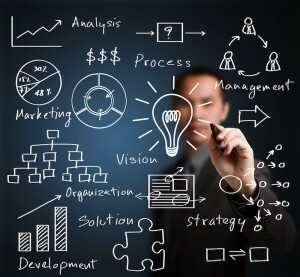 According to the Society of Digital Agencies, it's expertise in emerging trends. Now think about the last time you delivered this type of information to your client. If it's been a while, then you've got some work to do. Clients want this information, and if you are able to provide advice and direction on how they should be investing in not only growing their business today but what they need to do to prepare their company to compete one, two, or five years from now, your agency will be in a better position to retain the relationship or even benefit from upselling opportunities. 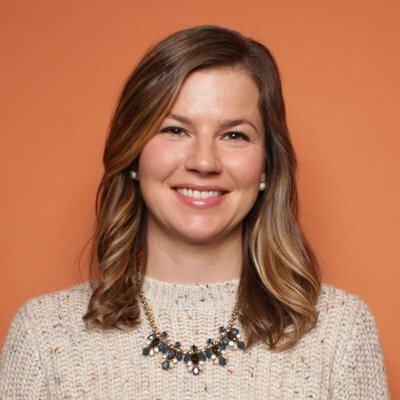 To do that, you need to be searching for what's next and selling them on testing and trying out new channels, distribution models, and ways of connecting with customers. 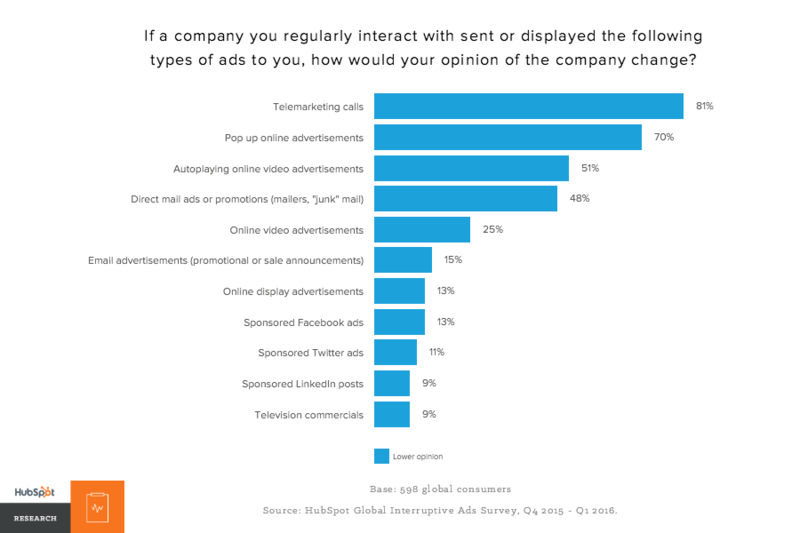 To get you caught up on what your agency and your clients should be paying attention to in the world of marketing and buying behavior, check out these interesting charts. 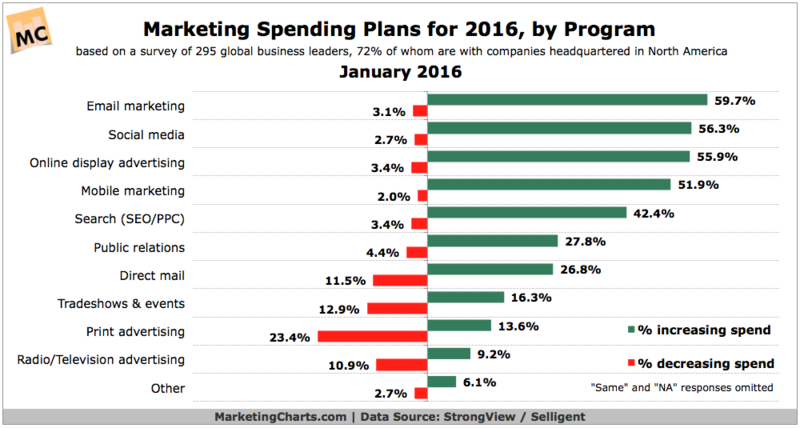 1) In 2016, companies increased budgets for email marketing, social media, and display advertising. 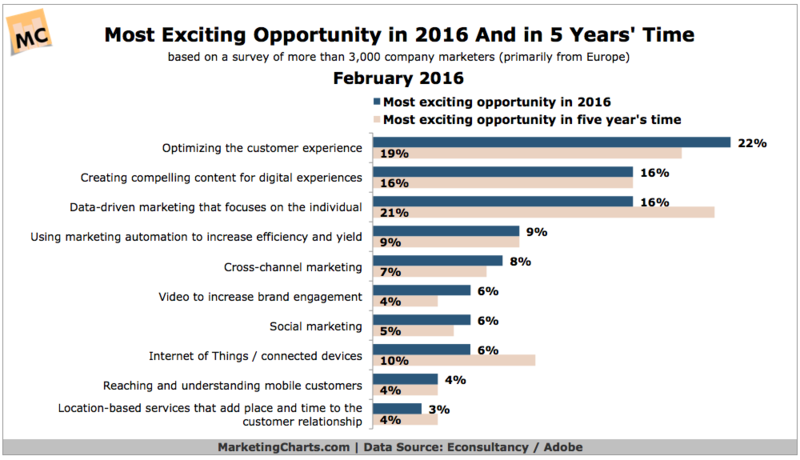 2) Marketers are most excited about opportunities in optimizing the customer experience, creating compelling digital content, and using data to connect on an individual level with consumers. 3) The pace of technology, the increasing complexity of marketing, and the tech-empowered consumer are seen as disruptive to companies. 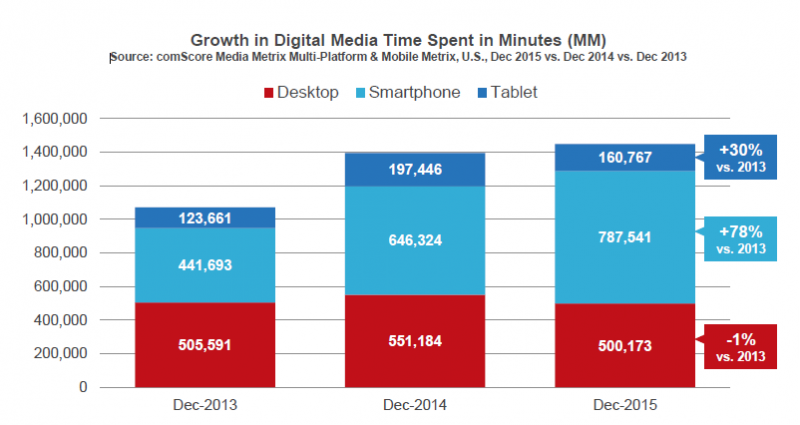 4) Time spent on mobile grew 31% in 2015, while desktop continues to fall. 5) 70% of digital ad spend will go to mobile by 2019. 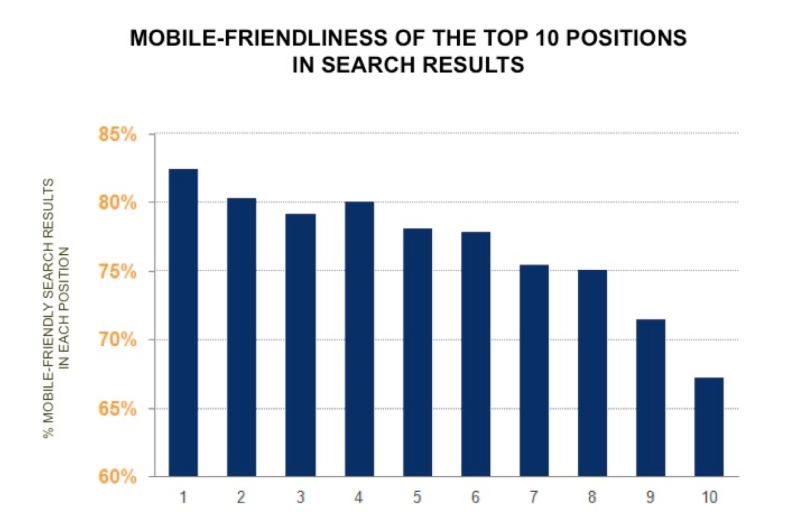 6) Mobile-friendly websites rank higher in search engine results. 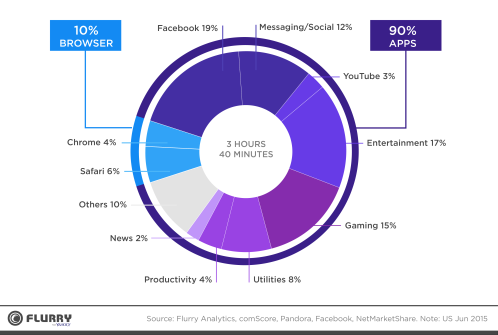 7) 90% of time spent on mobile is in apps. 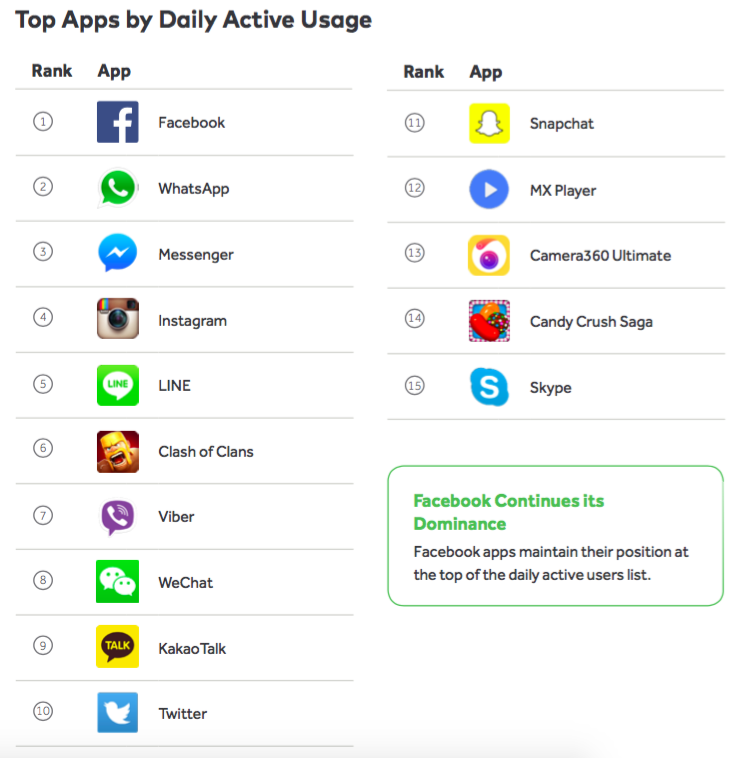 8) Facebook owns the top four of the most used apps globally. 6 of the top 10 apps are messaging apps. 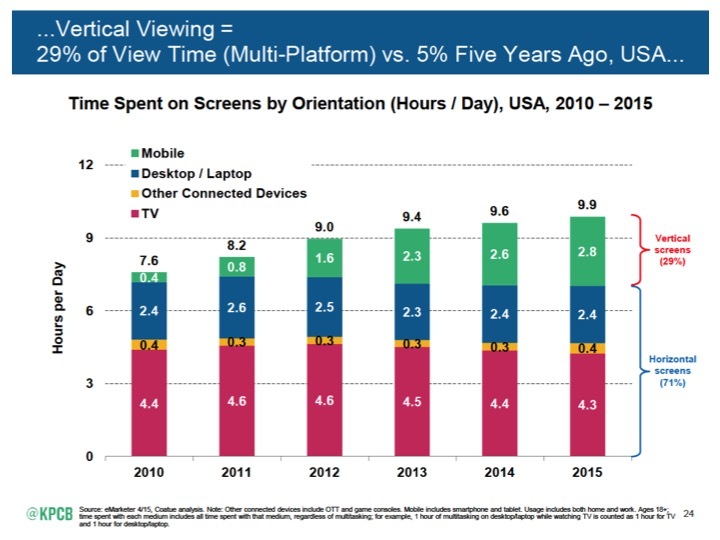 9) 29% of view time is spent viewing using a vertical screen. 10) Native Facebook video posts get more reach than any other content format. 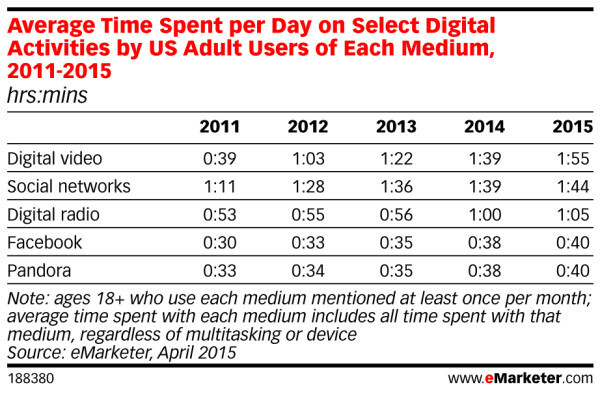 11) Users spend nearly two hours watching digital video, more than time spent on social networks. 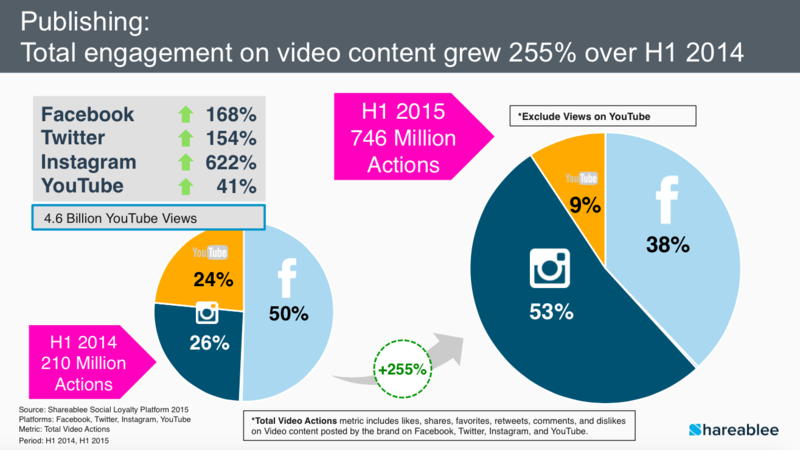 12) Video content engagement grew 255% in one year. 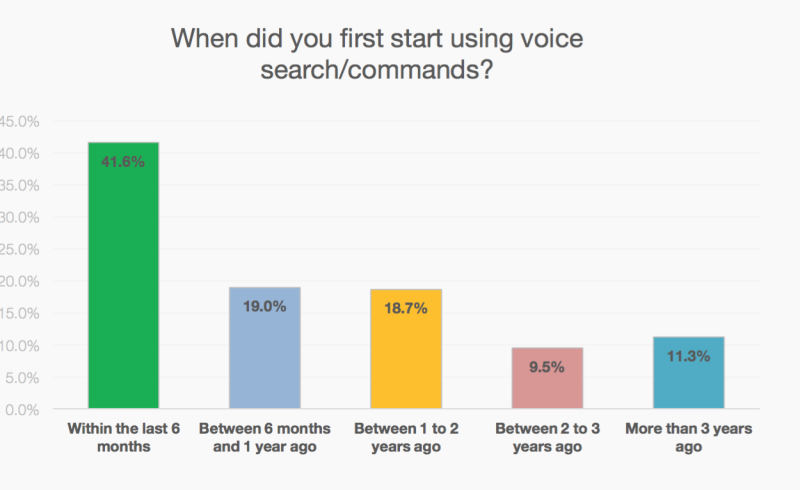 13) 60% of people surveyed have started using voice search commands within the past year. Recently, Google said that 20% of queries on Android devices and its mobile apps are voice searches. 14) Snapchat users watch 10 billion videos per day, up from 2 billion a year ago. 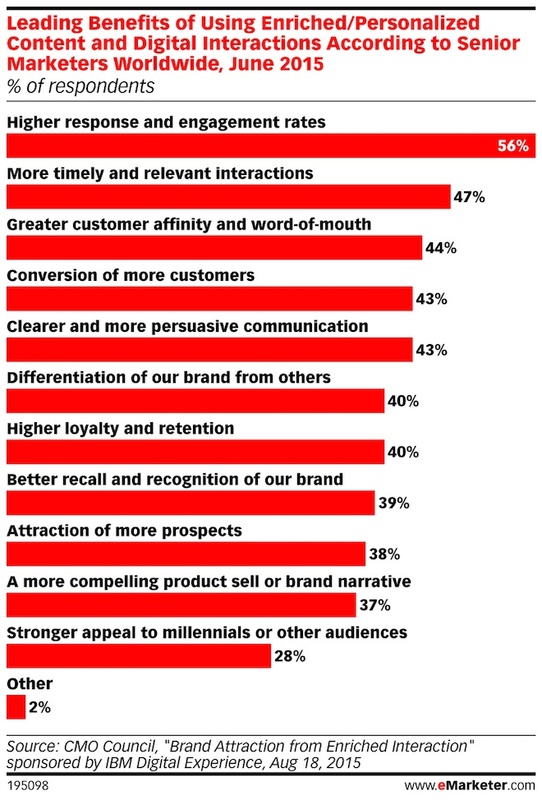 15) Personalization leads to higher engagement and more relevant interactions, according to marketers. 16) People hate ads, and their opinion of a brand can change based on the ads it buys. 17) Ad blocking adoption rates are higher outside of the U.S. 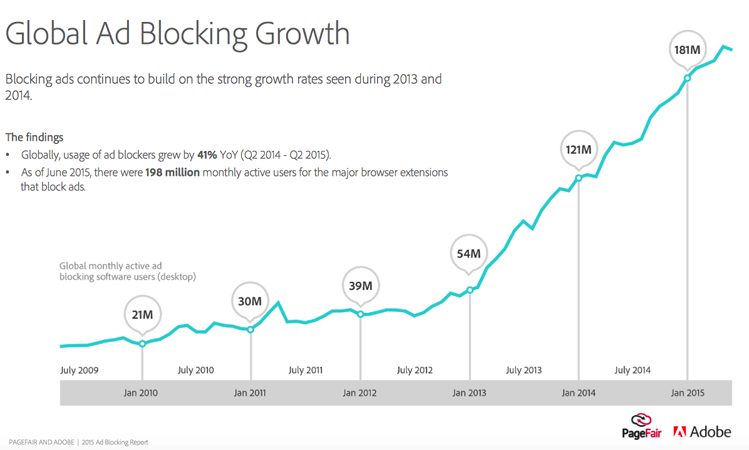 There are now 198 million adblock users worldwide. 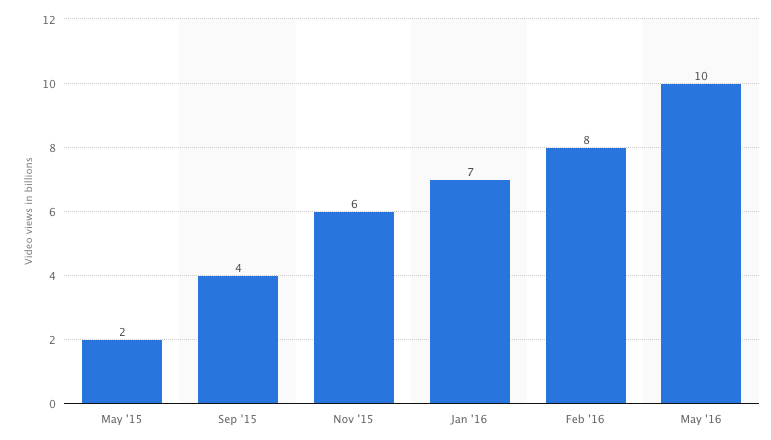 18) Adblock usage grew 41% in 2015, and adoption rates are speeding up. 19) News sources are changing. 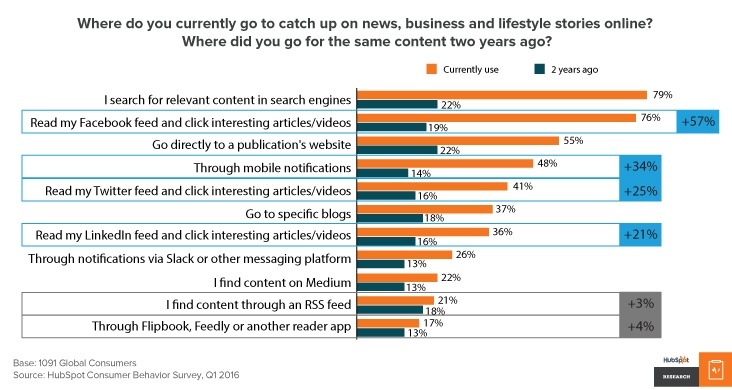 20) People want different types of content, including more videos, online classes, research, and interactive tools. 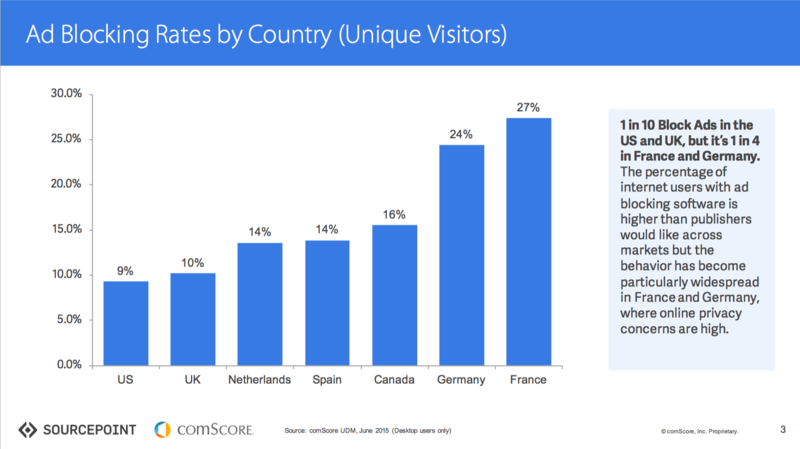 21) Facebook sends more referral traffic to publishers than Google. 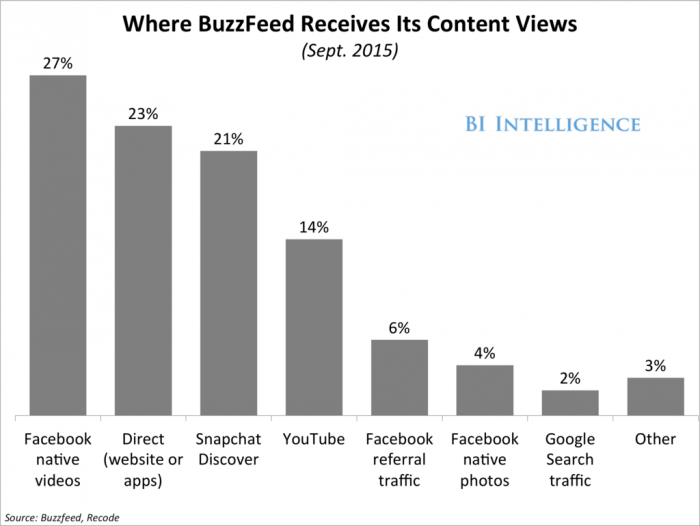 22) Buzzfeed content sees 7 billion monthly views of its content, up from 2.5 billion per month last year. 75% of those content views occur outside of its website. 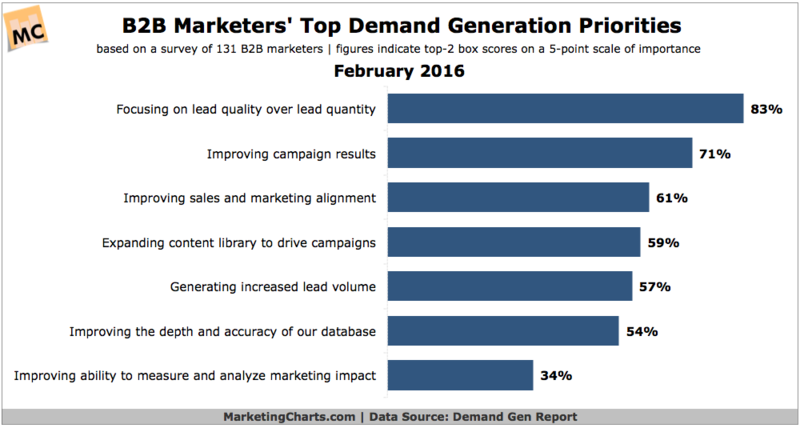 23) B2B marketers' top pain points around lead generation are about lead quality, improving results, and sales and marketing alignment. 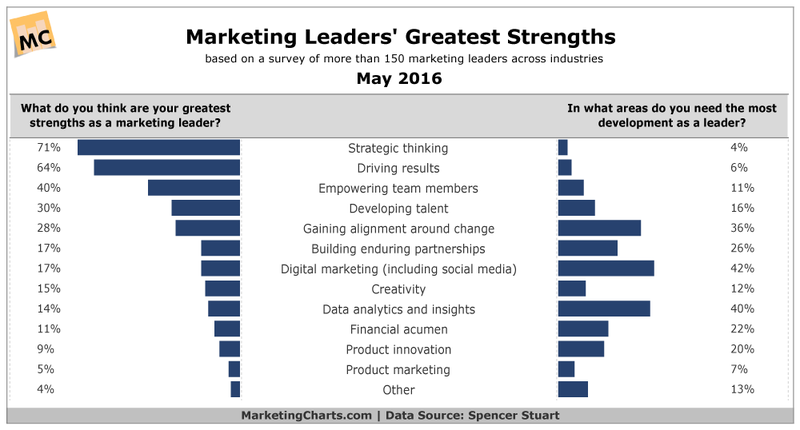 24) Marketing leaders need the most help with digital marketing, data, and change management. 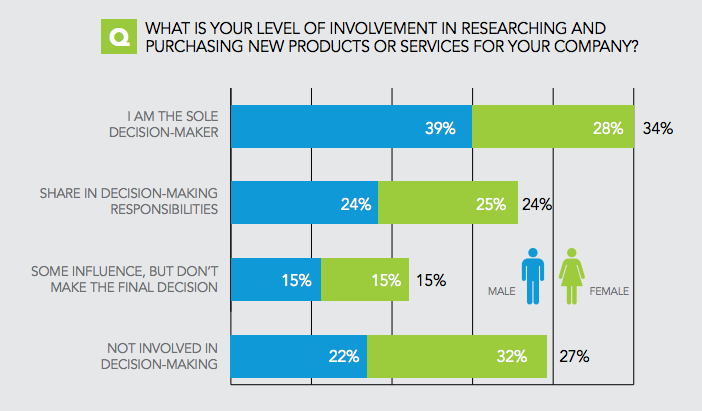 25) 73% of millennials are involved in purchase decision-making at their companies. 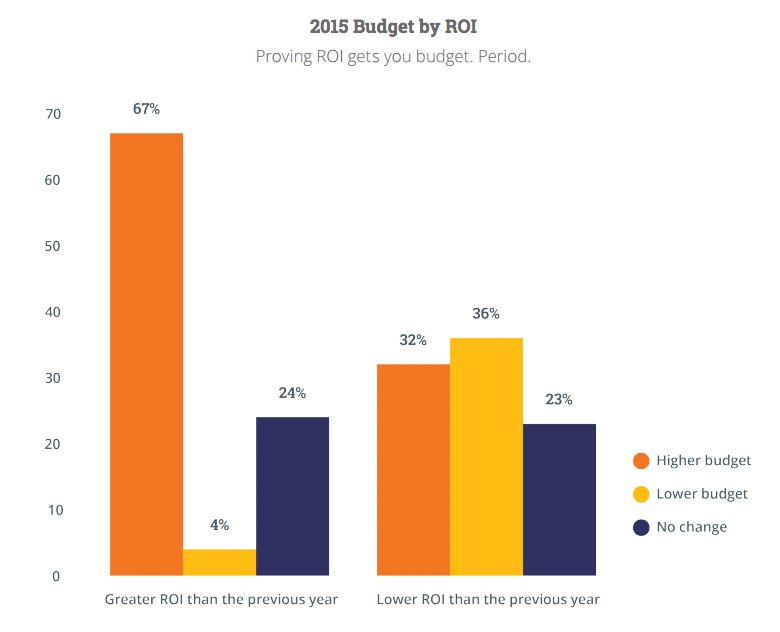 26) Proving ROI leads to larger marketing budgets. 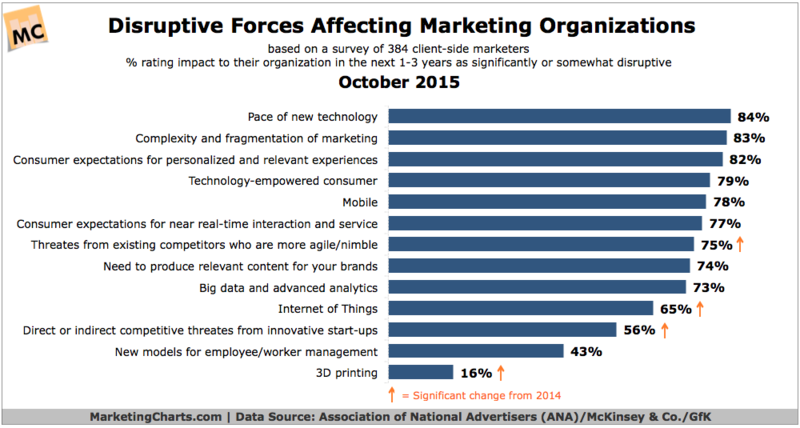 27) Content marketing revenues are expected to reach $54 billion by 2019.